~SOLD~ Fender Japan M.I.J. "T" `75 Black series Jazz Bass R.I. 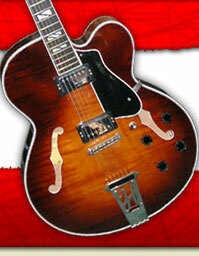 Modeled after the rare `60s Black Headstock Fender's , this F.J. is probably going to be just as rare in years to come. The orig decal is under the black paint, just like the originals, with only the Fender showing. This 2007-10 made example is in "as new" condition, with a bridge cover having been added & removed at some stage. We will retro fit a cover as soon as they are back in stock. Notify me of updates to ~SOLD~ Fender Japan M.I.J. "T" `75 Black series Jazz Bass R.I.